Description: Pears provide vitamin C, an antioxidant that may reduce your risk of heart disease and certain cancers. Vitamin C helps protect skin from bruising, helps heal cuts and keeps gums healthy. Eating foods with vitamin C helps the body absorb iron. 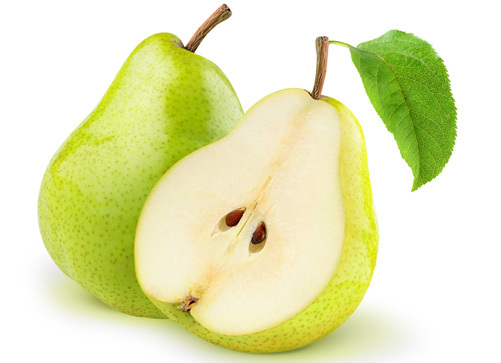 Pears also provide potassium and fiber. Potassium helps maintain healthy blood pressure, and fiber helps control cholesterol and keeps you regular. Selection: Firm pears. Check for ripeness by applying gentle pressure to the neck of the pear. Once it gives slightly, it is ready to eat. Storing: Unripe pears in a brown paper bag at room temperature. Once ripe, refrigerate.